Let your publicity shine brightly in every window! 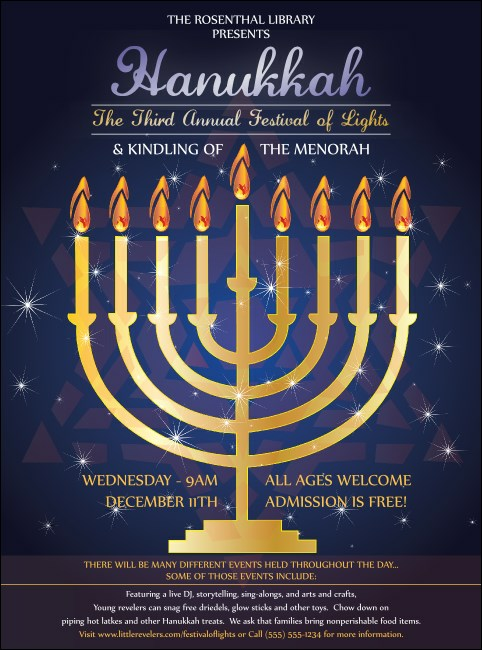 When you're looking for maximum turnout at your upcoming holiday party, you can depend on the Hanukkah Menorah Flyer to gather a crowd for the simcha. The lovely lights of the hanukkiah against the star-filled background set the stage for your family-friendly celebration. TicketPrinting.com wishes you and yours a chag sameach.